Phuentsholing Thromde has included employment generation and Local Economy enhancement program in the 12th FYP with the objective to enhance the local economy and create gainful employment. 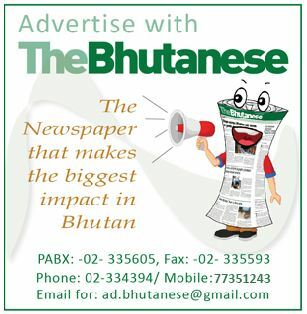 For the program, the collaborating agencies are Ministry of Economic Affairs, Ministry of Labour and Human Resources, Ministry of Agriculture and Forestry, Ministry of Finance, Ministry of Information and Communication, and Tourism Council of Bhutan. Since Phuentsholing Thromde is considered to the economic and commercial capital of the country, it has a huge potential to create employment in the country. The existing 152 productions and manufacturing CSIs (as per CSI report 2018) in Chukha Dzongkhag are mostly concentrated in Phuentsholing Gewog and certainly lesser in Phuentsholing Thromde, which has been termed erroneous given the Thromde’s strategic location with easy access to cheap labour and raw materials. As it witnesses substantial trade and commerce by sharing an international border with Indian State of West Bengal, Phuentsholing Thromde will establish 150 new more CSMIs such as brick manufacturing unit with more emphasis on production and manufacturing (P&M) sector aimed to reduce imports and therefore, generate 500 new jobs to overcome the grave unemployment issue. The 12th FYP plan states that Phuentsholing Thromde being Thromde A has the mandate to generate its own revenue and sustain its economy. Besides preparing a strategy to manage internal revenues and exploring additional sources of revenue, the 150 new non-farm CSMIs will be a source of income once they are established and operational, it added. As per the plan, a larger chunk of Thromde revenue is generated from Thromde services such as the fees from lease lands, property transaction, and other services. Thromde aims to generate an addition of 20 mn to current revenue of 78 mn in the 12th FYP. The plan states, “With the onset of 12th FYP, the Thromde inaugurated Integrated Vegetable Market Shed which has already created about 162 jobs for vegetable and fruit vendors, and 38 meat vendors.” It further stated that it still has the potential to create additional jobs as there are additional 5 platforms for local people. In addition, the proper implementation of Local Area Plan, it will ensure the provision of basic municipal services, facilities, and infrastructures such as road, water, waste management, wastewater management among others that will encourage private parties, landowners and others investors to invest in developing CSMIs. According to the plan, in order to ensure economic development Thromde Business/Economic Development committee will be formed with the representatives from relevant stakeholders. The committee shall prepare local economic growth and job creation strategy and shall facilitate and collaborate with relevant stakeholders in seeking information on the number of unemployed youth. The Thromde also has a program to promote gender equality by empowering women and girls. Ministry of Education and the National Commission for Women and Children will be the collaborating agencies. Gender disparity in Bhutan is not as grave as in many other countries but there are subtle and culturally ingrained gender-inequality issues across Bhutan, states the plan. Nationally, women are less happy than men according to GNH Survey 2015. “Gender disparity is largest in many areas including health, education and good governance domains. Women are poorly represented in decision-making positions both in the parliament and civil service. Only 8.5 percent of women were elected in the NA elections in 2008 and 2013. However, no women got elected for NC election in 2013 as compared to a 20 percent women candidate elected,” stated the plan. Considering the importance placed on promoting gender equality and empowering women/girls, Thromde has a plan to focus on periodic sensitization and media advocacy program on the importance of gender equality and rights so as to empower women which will also encourage women participation in all kinds of electoral processes. The Thromde also has plans to focus and collaborate with relevant agencies to conduct gender-related research particularly on participation in the decision making, entrepreneurship, and violence against women (VAW), gender-related aspects of health, teenage pregnancy, etc. In addition, the Thromde will make available information on employment opportunities or any form of skills development training and they will also promote ideas such as women cooperatives, self-help groups, etc. among women as a means of uplifting women out of poverty and easing their financial difficulties.